“I don’t want to grow old.” Parul said today morning. I, now sit wondering is there any truth to that. Do any of us want to be old and in the twilight of our lives and those who already are there, are they any different from us? The Sunset Club is a story of three such men, waiting for the end and living in vain glories from yesterday. Khushwant Singh has turned this often autobiographical account into a life lesson for those waiting to live their lives out. Boota Singh, of course, is the parallel to the author himself. An aging widower drinking to formal carnal glories often dreaming of his own daily excrement. Baig, the medicine man, living a lazy existence in a quaint corner of Old Delhi. Sharma, the virgin pandit, living with his sister and servants. 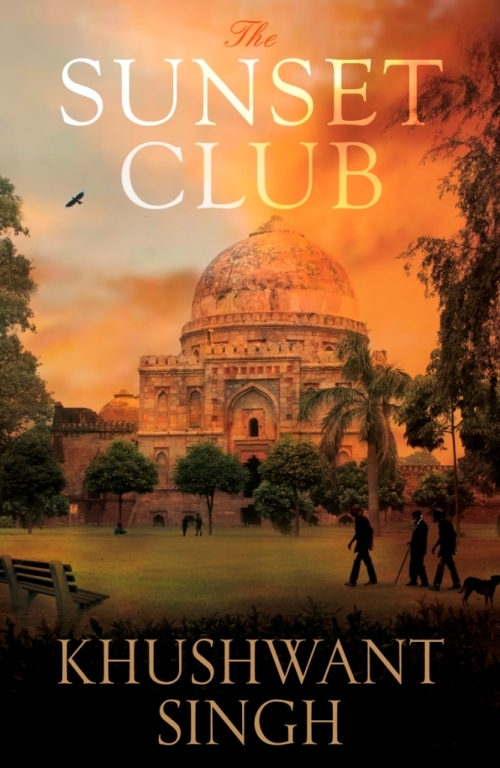 What really mixes the plot up is that Delhi, my beautiful city, actually is one of the characters of the book. Its seasons are celebrated like festivals and its political climate an oft discussed topic for the three veterans. Clearly, beyond the story lies the layers of characters and how they melt into the city’s artistic landscape. The story in itself tells of one year in the lives of these octogenarians and goes back to how their relationships came to in the first place. A light read that I romantically picked up during a journey from Delhi to Mumbai, it perhaps had greater sentimental significance to me than most readers for it tells of a Delhi I have known nothing about. Would I ever have my own sunset club, I wonder? One where I find random strangers who turn into friends and eventually live out each other’s twilights. Or would I be at least a reminisce living in the memories of men who talk of the best and worst loves of their lives? The Sunset Club makes you want to grow old and live out a life that is worthy of a remembrance. It scores in its sarcasm and wit and in parts even makes you sentimental. A must read for the Delhi fans, it will either give you a future to dream of in the city or make you sit down with a glass of your favorite scotch and remember the good times!